As plugin authors, sometimes we lack the unique creativity to give things creative names 浪. For example, on your recipe card, instead of boring Instructions, you might want to have Directions, or Path to Deliciousness? 3. 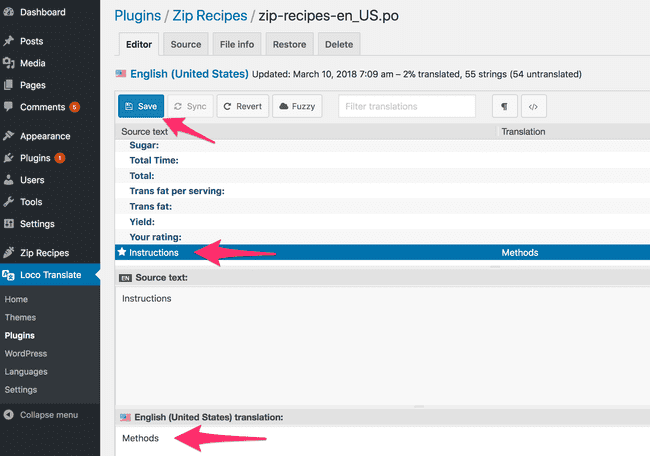 Now you’ll see a list of languages that Zip Recipes is already translated into. Important: Do NOT simply edit the language you want to change. 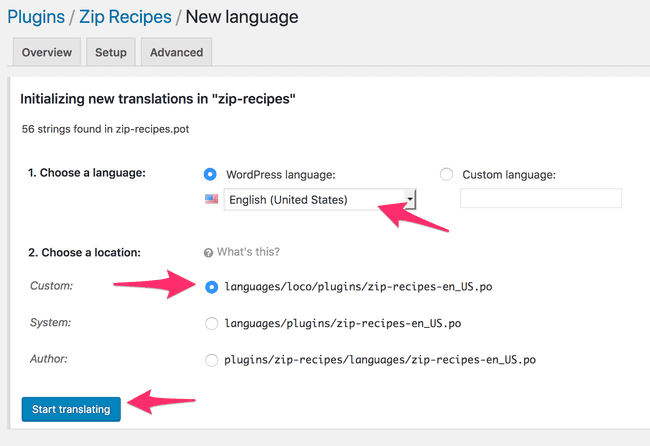 This change will be overwritten next time Zip Recipes is updated. 5. 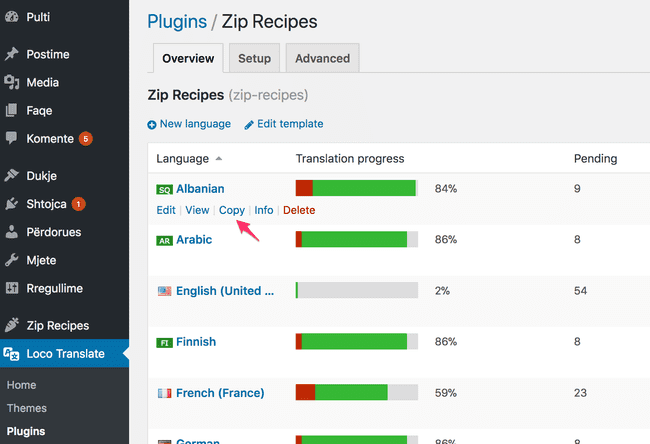 Now you choose your language and set the location to Custom. 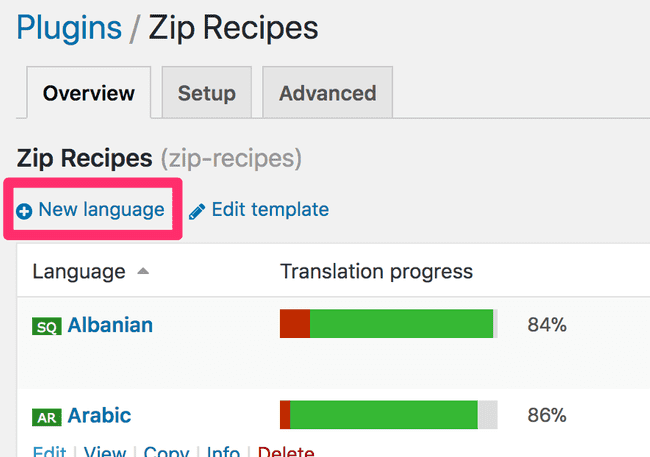 This is recommended in order to ensure you don’t lose your translation when Zip Recipes or WordPress updates. If the source text has a %d, ensure you add the %d in your translation as well. %d get replaced with numbers. For example %d minutes will become 5 minutes. Same applies for other % symbols like %s. Once you click Save, you should see the changes in the recipe card right away!